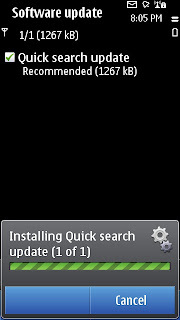 There is a new update patch available for Nokia N8. This update is specifically for Quick Search. 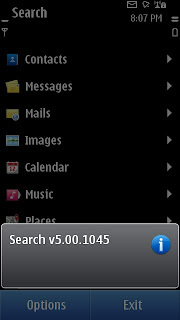 It upgrades the Search functionality to v5.00.145. Moreover, it adds the fuzzy search feature to the existing search functionality of Symbian^3 OS. 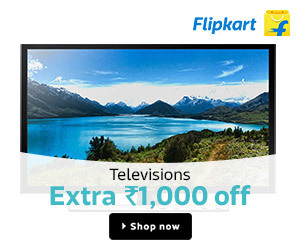 This means that the moment you type a letter in the search box, the search results start generating. 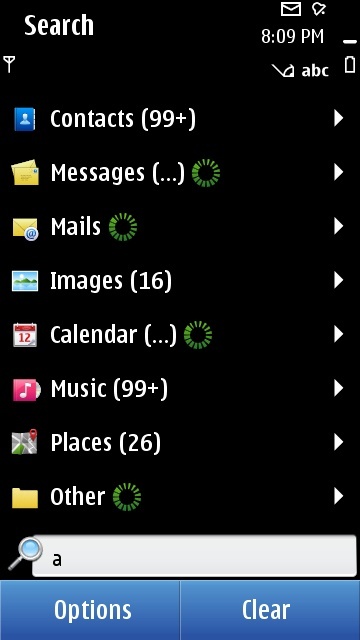 This is a very nice enhancement on Nokia's part. 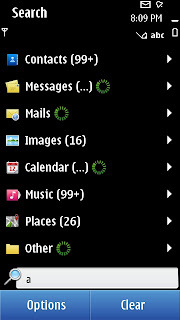 I hope we see many such functionalities in future getting updated for Symbian^3.